The DNP program is based on The Essentials of Doctoral Education for Advanced Nursing Practice curriculum guidelines (AACN, 2006), and reflects a multidisciplinary design incorporating appropriate graduate level courses from other disciplines. The B.S. to DNP Program at The College of St. Scholastica educates professional nurses to be adult/geriatric nurse practitioners, family nurse practitioners, or family psychiatric nurse practitioners. Doctoral-level courses are integrated throughout the advanced practice nursing curriculum and prepare the future DNP to expand their knowledge and practice options. Students can opt for a dual track of study by adding a gerontological specialization to any of the advanced practice tracks. The BS to DNP option is offered in a hybrid format consisting of online courses supplemented with minimal on-campus meetings. Students who wish to complete the program on a full-time basis should work no more than 0.6. The Post-Graduate Program option (Post M.S.) for current advanced practice nurses. The Post M.S. Program option is offered online with on-campus visits required only for defense of clinical project proposal and final project. This makes our DNP programs accessible to working students with busy lives. After completion of the DNP degree or Post-Master's Certificate, students are eligible to take the national certification examination in their Nurse Practitioner population focus of Family/Individual across the Lifespan, Adult-Gerontology Primary Care, or Psychiatric Mental Health. 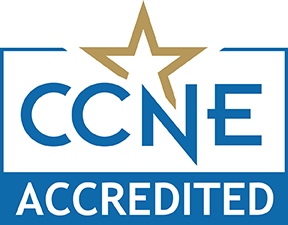 Further Information about the certification exams is available at the American Nurses Credentialing Center and the American Academy of Nurse Practitioners Certification Board websites. The College of St. Scholastica Doctor of Nursing Practice Nurse Practitioner Programs are approved by the Minnesota Board of Nursing and the Arizona Board of Nursing.